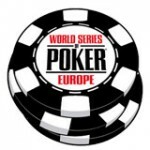 The World Poker Tour have added a new location to the prestigious live poker tour, WPT National Bohemia will be the next event on the WPT calender with the Main Event taking place at King’s Casino in Rozvadov, Czech Republic between the 18th – 20th November 2011. 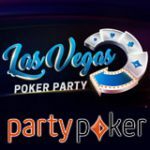 Qualify for your seat to this World Poker Tour event playing satellite tournaments online at PartyPoker, players can win a WPT Bohemia main event prize package worth $3,000,there are daily satellites and a final satellite every Sunday from 10th October - 6th November 2011. 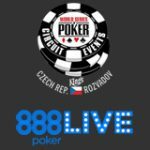 The latest event added to the World Poker Tour is the WPT National Bohemia which is located in Central Europe, making it easily accessible to poker players from Germany, Poland, Slovakia, Hungary and Austria. WPT National Bohemia will be the next event on the WPT calendar in 2011 which is set to take place in the Czech Republic at King’s Casino one of the biggest poker rooms in Europe. 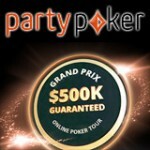 Start playing for your seat online, win a Main Event prize package worth $3,000 on PartyPoker. Daily WPT satellites are running from as $1, play your way to the weekly final on Sundays. 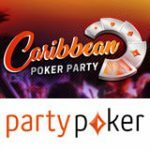 Bonus codes for PartyPoker - use the PartyPoker deposit bonus code when signing up for a new account, choose a Party Poker bonus code for your preferred currency. PartyPoker tournament schedule includes the following satellites for the WPT National Bohemia. 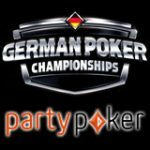 Play your way to the Main Event in the daily online poker satellite tournaments which starts from an affordable buy-in of only $1. Prizes: 1 out 10 players registered, qualify for WPT National Bohemia Satellite. 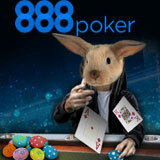 Prizes: 1x WPT National Bohemia package guaranteed addition packages added for every 20 players registered.